“At about 2am of 13 April 2000, when I was still in a deep sleep, I was taken by the police from home and was sent to the detention centre for the third time – without any explanation from the police,” said Jennifer Zeng. “I am here today on behalf of 77 million Chinese who quit the Chinese communist party and (their) related organisations, and (on behalf) of 1.3 billion Chinese who yearn to be free, free to write, free to gather, and free to believe,” said Ms Zeng. The practice of falun gong, also known as falun dafa, initially enjoyed considerable support from the Chinese Government, by the late 1990s this had support had gone, with Chinese Community Party viewing the rise of the Falun Gong’s membership as a threat. They were allegedly threatened by the fact that the number of Chinese practicing falun gong exceeded the membership numbers to the Chinese Communist Party. Hence, they viewed the emerging size of the falun gong as a potential threat. By the late 1990s some estimates placed the numbers of Chinese practicing falung gong at nearly 80 million. In April 1999, tensions escalated, when more than 10,000 falun gong practitioners gathered peacefully near a Beijing government compound, campaigning for the right for legal recognition of falun gong and the right to freedom from State interference. What followed was a powerful crackdown. In October 1999, the Chinese Government declared falun gong as “heretical” and that it threatened social stability. The Government blocked internet access to its Chinese population of any mention of falun gong. From June 2013 to June 2014, the world will approach the 25th anniversary of China’s crackdown in Tiananmen Square in 1989, when the Chinese military opened fire, killing thousands of students and other peaceful demonstrators. Today there are calls from incoming President Xi Jinping for a “renaissance” in China, and the realization of the China dream. At the same time, many in the Chinese leadership and media have recognized that the dream for China cannot become a reality without social and political reform. We have taken President Xi Jinping’s statements as a small opportunity for hope that China, in expanding its role as a world power, will begin to throw off some of its more oppressive practices. We find reason to hope that he and others in the Chinese leadership will hear the voices of ordinary citizens across the globe, when we say that the China dream will not and cannot be realized while its citizens are subject to “thought reform” through the oppressive ‘laogai’ labour camps. Since China’s Cultural Revolution literally millions of Chinese citizens have been forced into slave labour camps for offenses related to thought and expression. 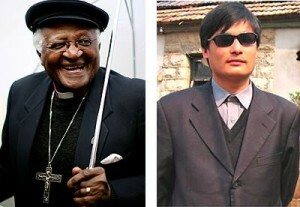 In recent times these include increasing percentages of innocents, including lawyers who tried to defend their own rights and rights of others, ordinary public who tried to uphold their rights and were abducted and sent to jail to be persecuted; and those who have done nothing more than state their loyalty to their religious leader, His Holiness the Dalai Lama, participate in Christian religions which have not been “authorized” by the Communist Party, or practice Falun Gong, a spiritual meditation system based on the ancient traditions of China itself. Reports from former inmates of the ‘laogai’camps detail prisoners living on the edge of starvation and exhaustion in infested and horrific environments, while being forced to produce commercial goods — goods that we have unknowingly purchased in Western stores. Uncounted numbers of prisoners, credibly believed to be in the tens of thousands, have been executed and their organs harvested for sale — a practice so despicable it is nearly beyond our comprehension. As we approach this historic anniversary, today’s world’s leaders have the opportunity to distinguish themselves from leaders of the past who, for the sake of economic progress or in the name of “national security”, have turned a blind eye to atrocities committed by Chinese leaders against their own citizenry. We ask our leaders to speak on our behalf to President Xi Jinping and the Chinese Communist Party. Tell them what they already know — that the dream of China can be realized only when its citizens’ universal human rights and dignity are upheld and respected. And that the ‘laogai’ system and the brutal repression of freedom of thought, conscience and speech, the most basic of human rights, will remain a festering sore on the China dream until it is addressed and removed. Sydney, Brisbane, Melbourne – Free China: The Courage To Believe, co-produced by NTD Television and World2Be Productions, tells the story of Australian mother, best-selling author and former Chinese Communist Party member, Jennifer Zeng, who, along with tens of millions of Chinese, was practicing a belief that combined Buddhist and Daoist schools—until the Chinese regime initiated a brutal crackdown. Following New York and LA world premieres, New York based director Michael Perlman (Tibet: Beyond Fear), Australian producer Kean Wong, and labour camp survivor Jennifer Zeng will attend Australian premieres. Exploring issues ranging from slave labour practices to organ harvesting of prisoners of conscience. The documentary film is supported by Australian Lawyers for Human Rights and Australia Tibet Council. Trailer to “Free China- the courage to believe”, winner of the 2012 Free Speech Award. My first speech outside China. ‘The worst thing about the labour camp.’ My name is Jennifer and I come from mainland China. Protecting an innocent heart during a time of lies. From a prisoner to a writer. The Law and Me – Chinese Law verse Jennifer Zeng. “Bloody Harvest” – revised report into allegations of organ harvesting of Falun Gong practitioners in China. To prove you''re a person (not a spam script), type the security word shown in the picture. Click on the picture to hear an audio file of the word.